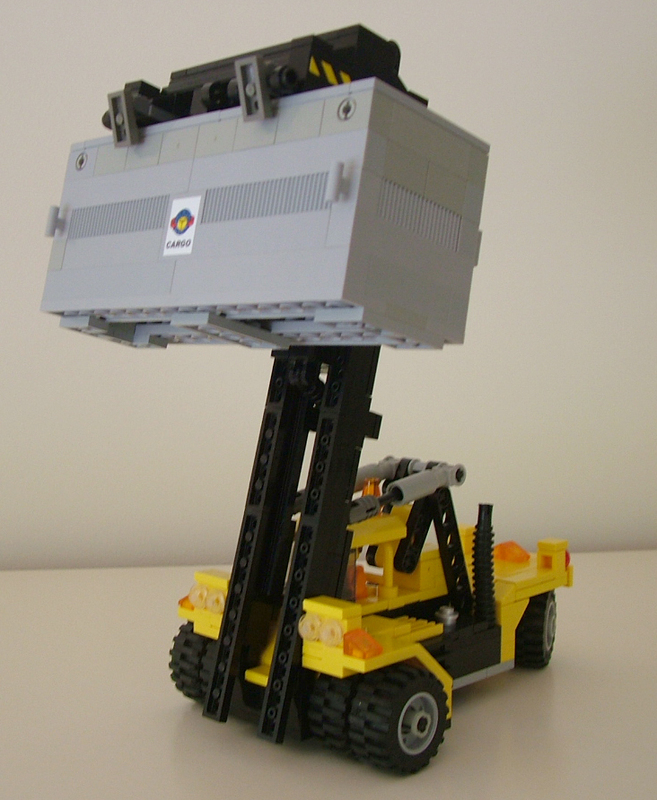 Brickshelf user carl shows off an excellent balance of form and function with this versatile container stacker. The mix of studless technic and system building gives a wonderful balance of usability and visual accuracy. This thing is so cool and totally in sync the City theme – but I wonder, how does it grasp that container? I wouldn’t have thought the clip-hinges would hold.